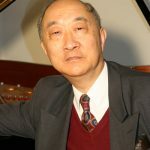 LI MING QIANG, born 1936 in Shanghai, was Vice-President of the Shanghai Conservatory (1984-89) and Professor of Piano since 1983. He studied with Alfred Wittenberg and Tatiana Petrovna Kravchenko of the St. Petersburg Conservatory of Music. He won the Third Prize of the 3rd Smetana International Piano Competition, Prague’s Spring Festival, 1957, the First Prize of the First George Enescu International Piano Competition in Romania in1958 and the Fourth Prize of the 6th International Chopin Piano Competition in Warsaw. Since then he has concertized extensively throughout Asia, Europe, North America and Oceania. He is a highly regarded jury member of many major International Piano Competition including the Beijing International Piano Competition in China, the Chopin International Piano Competition in Warsaw, the Van Cliburn International Piano Competition in the USA, the George Enescu International Piano Competition in Bucharest, the Hamamatsu International Piano Competition in Japan, Hong Kong International Piano Competition, the William Kapell International Piano Competition in the USA, the Dinu Lipatti International Piano Competition in Bucharest, the Montreal International Music Competition in Canada, the Prokofiev International Piano Competition in St. Petersburg, the Rubinstein International Master Piano Competition in Tel-Aviv, the Santander International Piano Competition in Spain, the Sydney International Piano Competition in Australia, the Tchaikovsky International Piano Competition in Moscow and many others. Since 1989 he has been lecturing and giving master classes at many leading Universities, Conservatories and Schools of Music in Mainland China, Hong Kong, Taiwan, Europe, Australia and the USA. He has made recordings for the China Records, Electrecord of Romania, Supraphon of the Czech Republic and Alpha Omega (Hong Kong). He is a life-member of the American Liszt Society and Honorary member of Trinity College of Music, London.